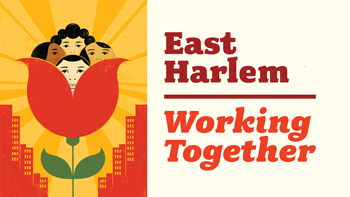 The Working Together campaign aims to celebrate the character, vitality and history of the East Harlem community, engaging merchants and the greater community. We welcome you to browse our section below with images and videos of how the initiative has impacted the East Harlem community. Working Together images highlighting of our impact on the East Harlem business community. Working Together videos highlighting of our impact on the East Harlem business community.